If you’re tired of opening the door again and again because of preachers or salespeople, installing mesh gates is an advisable option. By stopping the visitors from getting to the door, these gates let you enjoy peace of mind while you concentrate on your important business duties, like making more sales! Mesh gates play a key role when it relates to the safety of your pets and children. Instances of kids getting kidnapped from front lawns are common. You may avoid any such unwanted incidents by having mesh gates. These safety gates will deter intruders from getting inside the lawn without your knowledge. Also, they keep your children and pet in your property, thus preventing accidents and injuries which could take place if your pets or children wander around the roads. That’s why these are perfect in schools and nurseries, because they really are secure, safe and reliable, proven through years of use! Mesh gates simply look appealing and draw the attention of all. As well as securing your property, they uplift the exterior of your overall property in a dramatic manner. Potential buyers are willing to expend additional money on buying a property with a pleasing, secure gate. If you wish to sell your property in the near future, you can get a better price from potential buyers. We’re not saying they’re the most attractive gates out there, but they can look clean and smart, which is always a bonus. If your home doesn’t have a gate, intruders can get to your windows and peep inside. This can compromise your privacy. By having mesh gates, you can avoid anyone from peeping in your home. In this way, you get to cherish the much-needed privacy. The biggest perk of buying mesh gates is they’re pretty affordable. You don’t have to drain your bank account to install these security gates. In return for a modest investment, you can secure your property with these high-quality gates. They’re manufactured of highly durable steel, which isn’t the most expensive metal, yet it is one of the toughest. Installing mesh gates is a wise decision. They deter unwanted visitors, safeguard your property, increase your property’s value and protect people of all ages. This is why it is advised to shield your property with these secured gates. CCTV is an abbreviation for closed circuit television. These are cameras present in almost all public buildings and offices. One can also find them in different street crossings as well. There are numerous Benefits of having CCTV in your work place. Installing them provide with the much-needed security and also to fight against criminal activities. Anyone considering to break-in will find cameras as a big deterrent to their nefarious activities. This is because they know that their movement will be filmed and it will be much easier for police to nab them. The images produced by these cameras have highly defined that help to recognise people’s face easily. This makes committing a crime quite risky as the person committing the crime are likely to be caught. People often place these cameras facing the front door so that as soon as the doorbell sets off, one can check to see who is standing there. This works wonders for anyone living alone and finds it scarring to open the door if knocked. Having a video door entry system helps the owner to identify the person before going to open the door. The rapid development of this technology has led to display the image on the television screen. Earlier, a separate monitor was used to display the image, but that is no more the case now. This has a concomitant effect on the cost of the system as well. 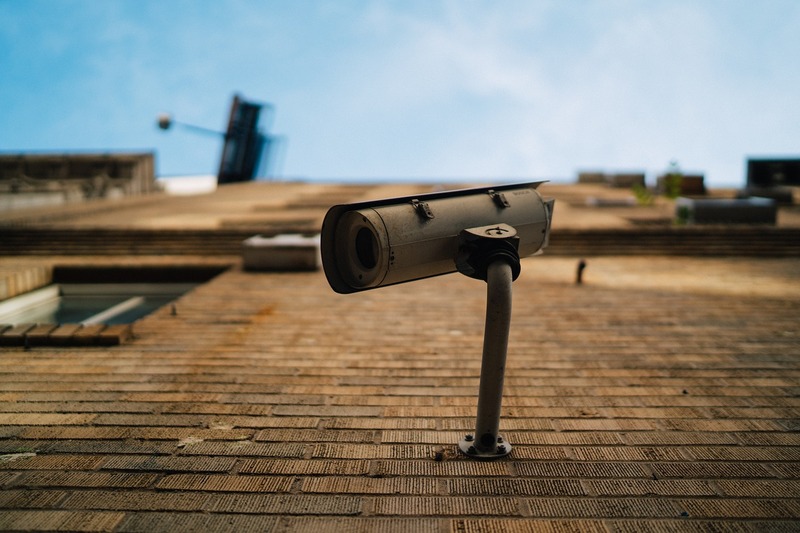 The benefits of CCTV systems have outpaced other available surveillance systems when it comes to security. These systems are ideal for workplaces and offices for the security of the building they are installed. The valuable properties are often the target of thieves and having CCTV cameras at different places of the premises work in complete protection against any criminal activity. Undoubtedly, CCTV security cameras are the best available option of securing a building, be it your workplace or home. In addition to being an effective restraint, they are quite useful in providing evidence with their detailed footage.